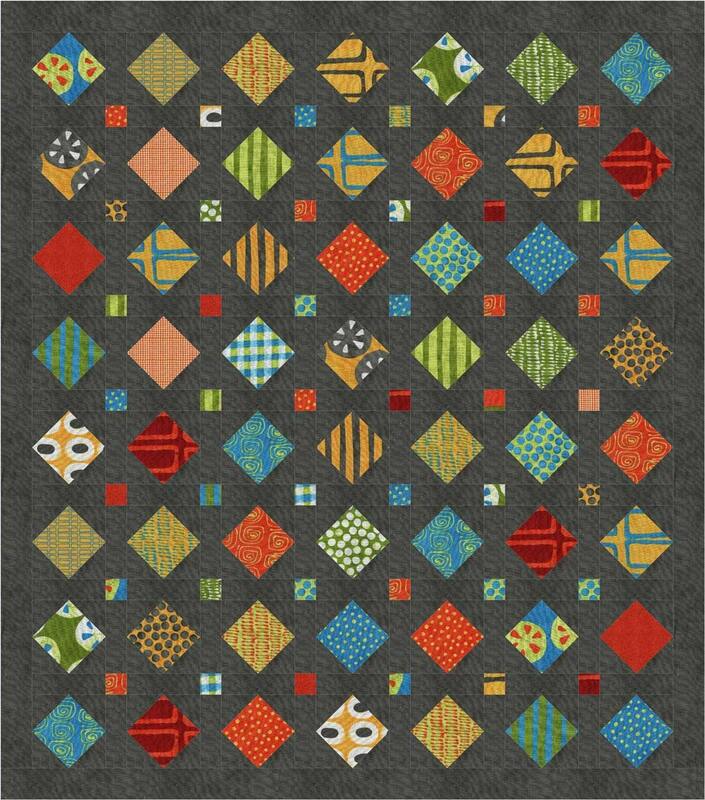 This pre-cut friendly patchwork quilt can use charms or layer cakes. Pattern includes sizes from crib to king. A great scrap quilt and a good way use up left over layer cake and charm squares.